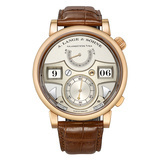 Pre-owned A. Lange & Sohne Zeitwerk Striking Time wristwatch (ref. 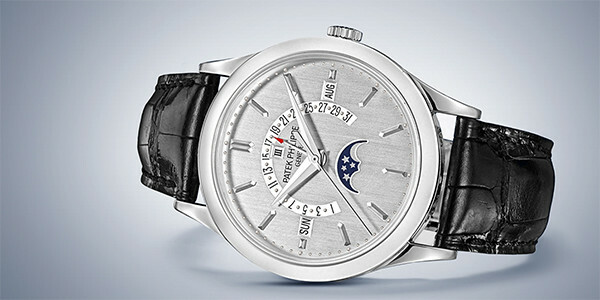 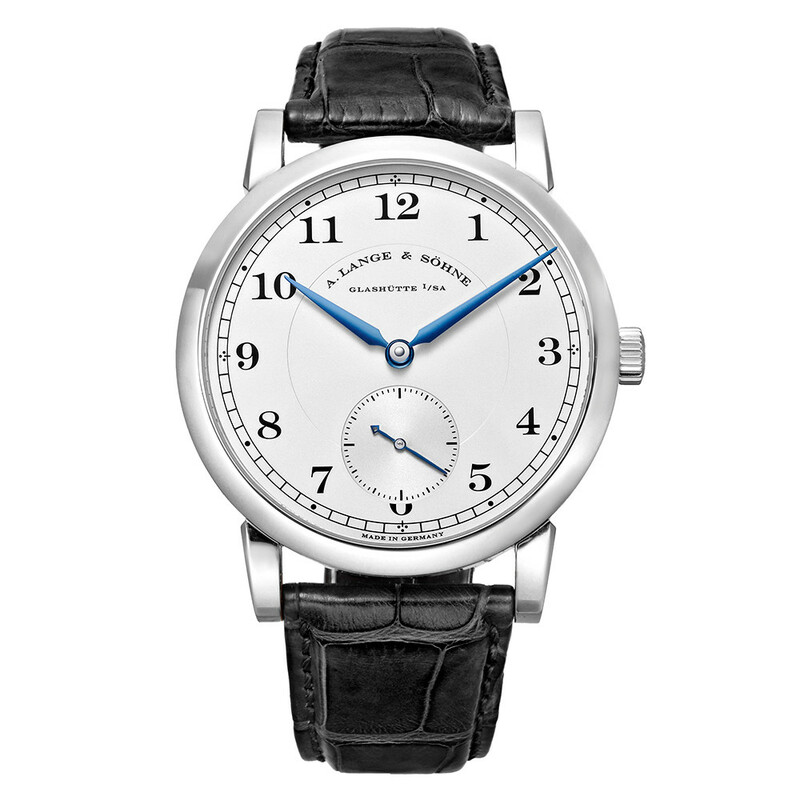 145.032), featuring the L043.2 mechanical manual winding movement; silver dial with time bridge in brushed German silver; small seconds subdial at 6 o'clock; power reserve indicator at 12 o'clock; visibly configured chiming mechanism with acoustic quarter-hour & full-hour indications; and 44.2mm, 18k rose gold case on a brown crocodile strap secured by the Lange 18k rose gold ardillon buckle. 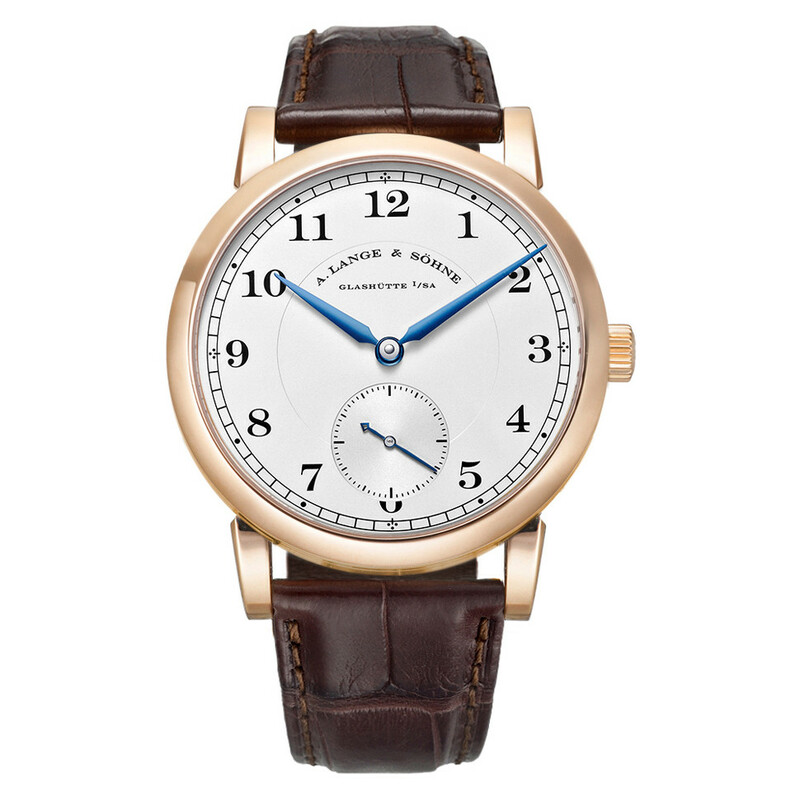 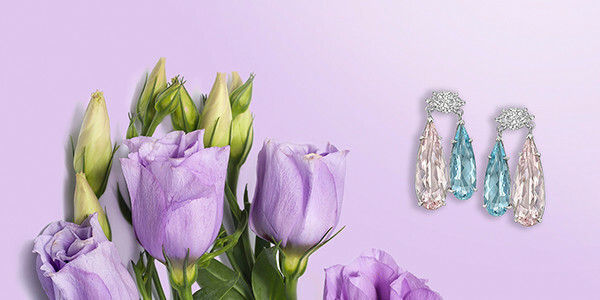 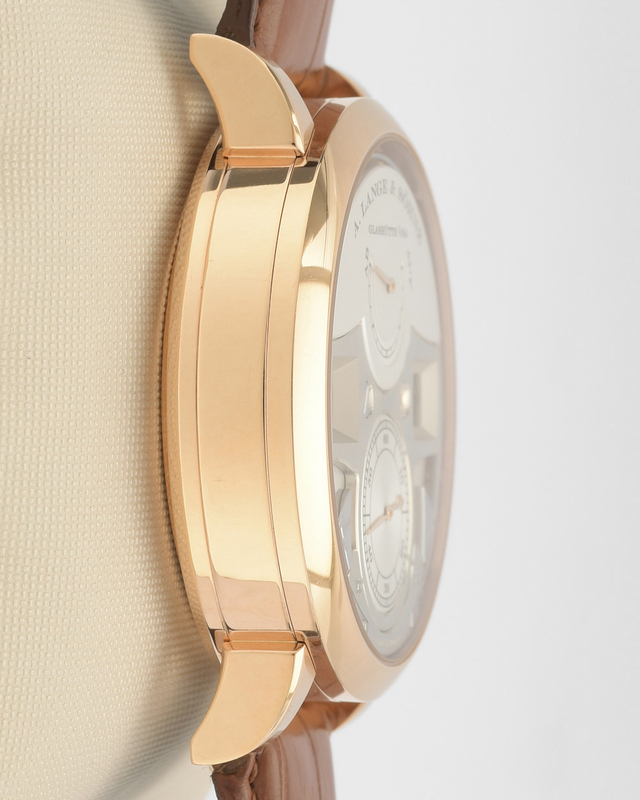 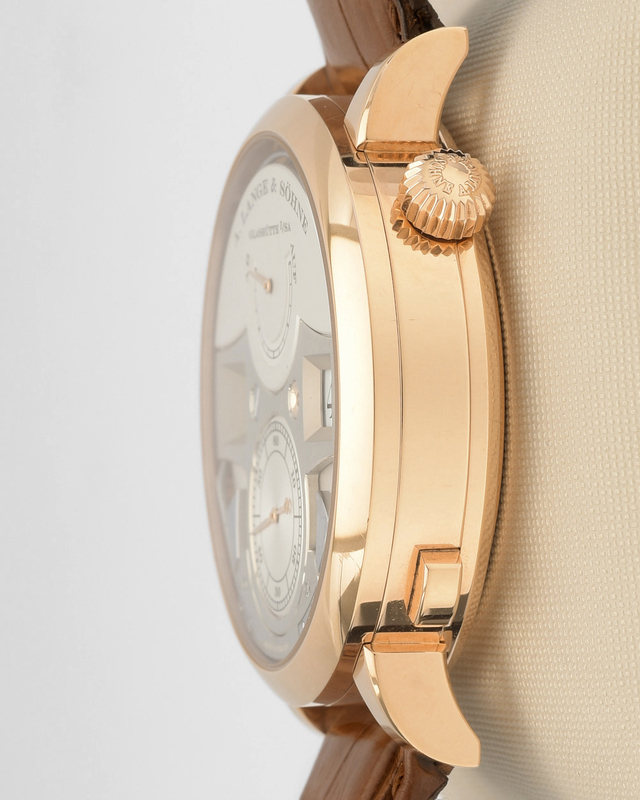 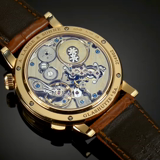 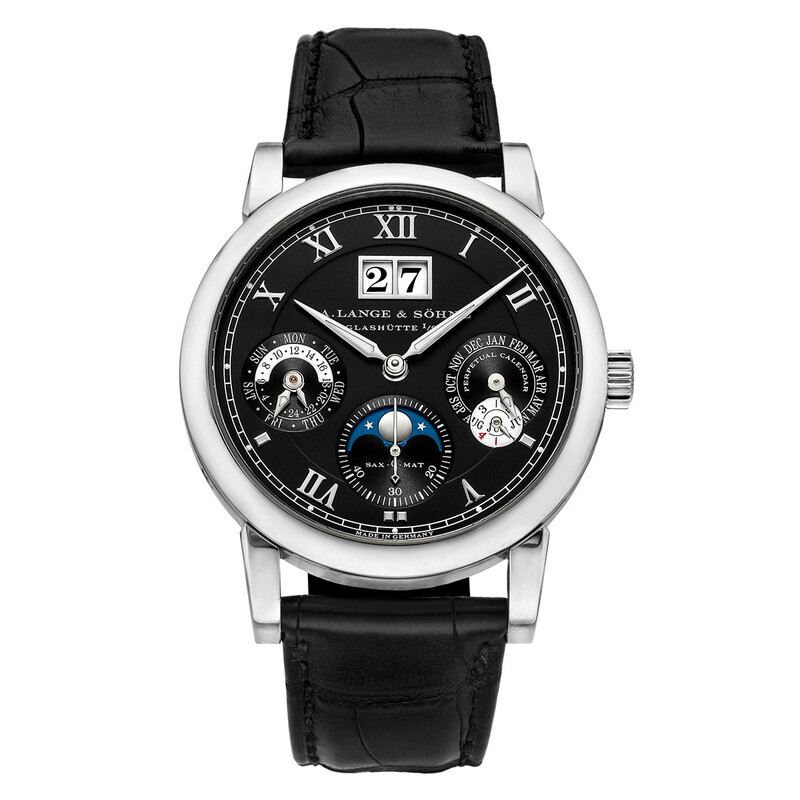 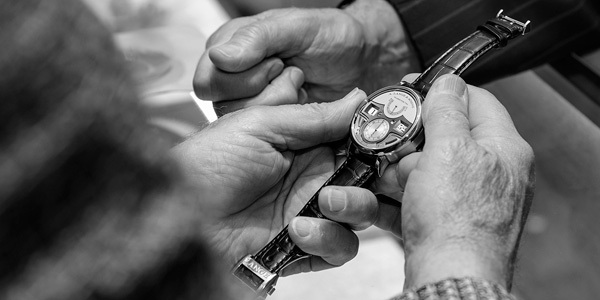 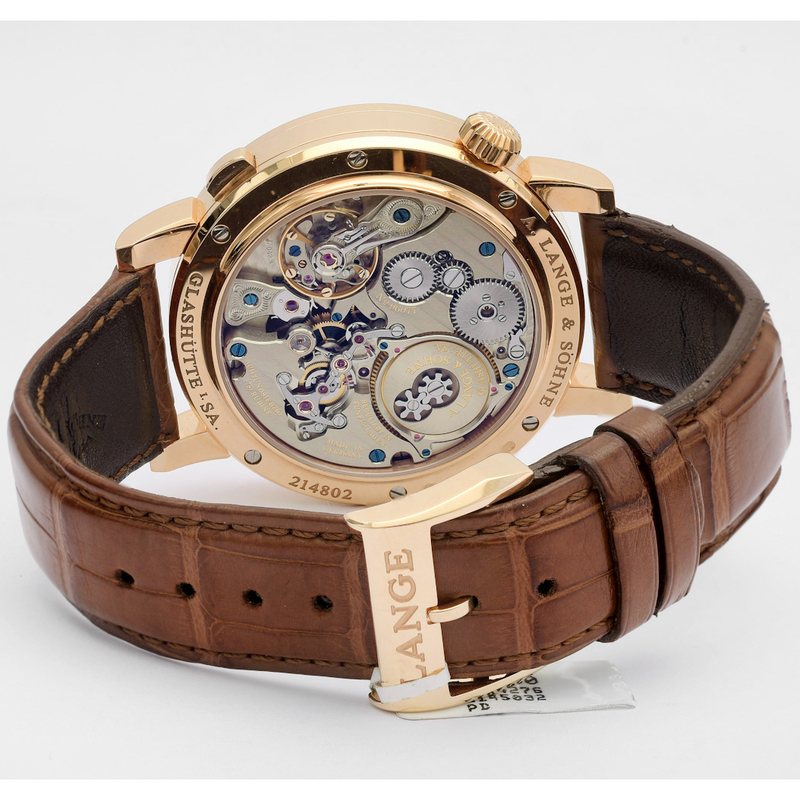 Guaranteed authentic- with the case, dial and movement signed A. Lange & Sohne. Accompanied by the original A. Lange & Sohne watch box and papers, dated 2015.